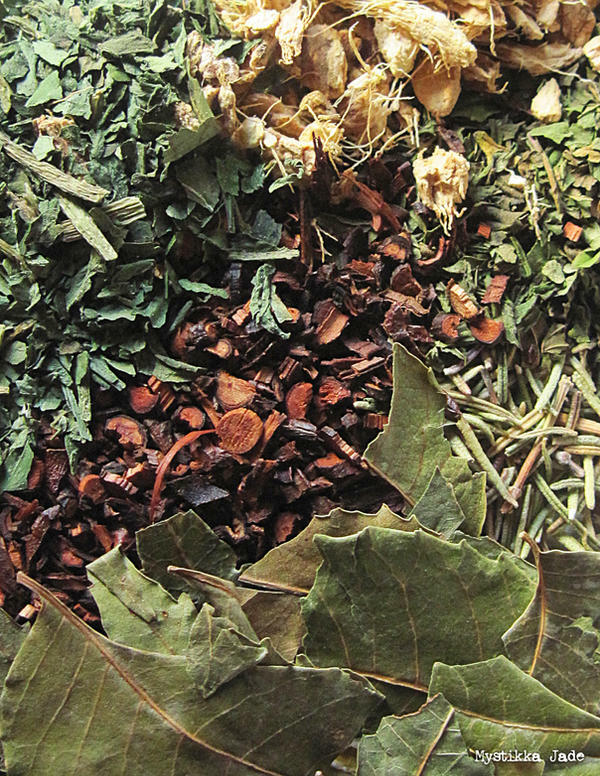 A pot of herbal tea a tea may help keep the doctor away.... at least it can help cut down on the doctor visits! I'm a big fan and advocate of herbs. A nice cup of tea can promote healing as well as soothe and relax the body and mind... or stimulate them, depending on what herbs are used. Because I love herbs and use them so frequently, I decided to snap some photographs of my herbal tea before it was brewed.